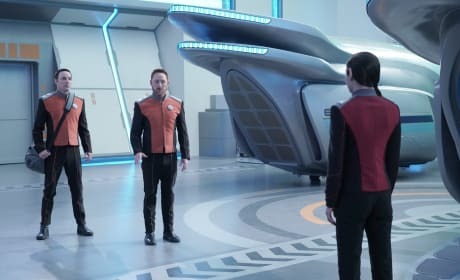 On The Orville Season 2 Episode 10, Captain Mercer (Seth MacFarlane) and Commander Grayson (Adrianne Palicki) are given the responsibility of opening peace talks with the Krill. 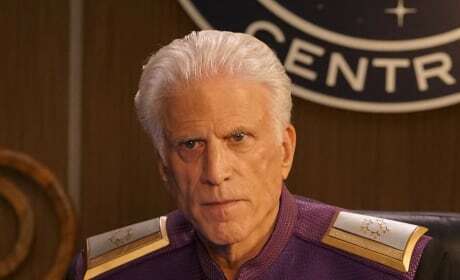 On The Orville Season 2 Episode 10, Admiral Perry (Ted Danson) makes it clear that beginning peace talks with the Krill is imperative. 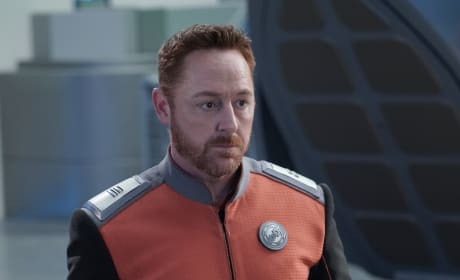 On The Orville Season 2 Episode 10, Malloy (Scott Grimes) tries to keep everyone calm in a tense situation. 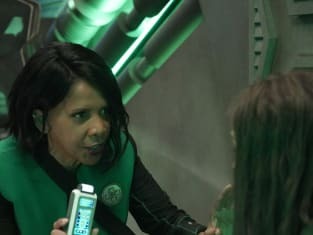 On The Orville Season 2 Episode 10, Malloy (Scott Grimes) and guest star Mackenzie Astin are confronted by Lt. Keyali (Jessica Szohr) in the shuttle bay of the Orville. 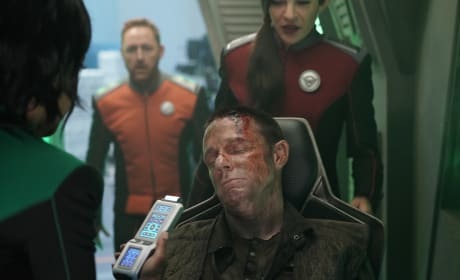 On The Orville Season 2 Episode 10, guest star Mackenzie Astin suffers injuries and is brought aboard The Orville. Malloy (Scott Grimes), Keyali (Jessica Szohr), and Dr. Finn (Penny Johnson Jerald) attend. On The Orville Season 2 Episode 10, Commander Grayson (Adrienne Palicki) is faced with a difficult dilemma during peace talks with the Krill. 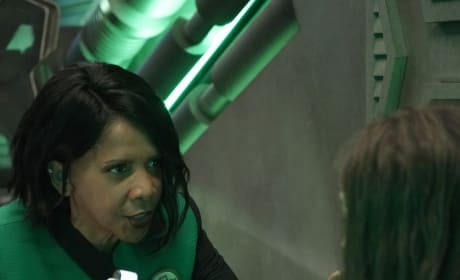 On The Orville Season 2 Episode 10, Dr. Finn (Penny Johnson Jerald) checks in with a patient in less than ideal circumstances.